The dynamic food-to-go sector continues to develop and adapt to fast-changing consumer needs, as learned by IGD during their event on food-to-go this month that was attended by retailers, manufacturers and food-to-go specialists from across the UK and Europe. "Food-to-go makes sense for retailers: margin is higher than on other foods; it fits well with the move to small store strategy; it can be a differentiator against competitors; and it is forecast to grow at twice the rate of grocery retail," IGD said. However, they said that the pace of innovation in the food-to-go market signifies that "retailers need to act fast to grasp the opportunity that food-to-go offers." The market research company cited Fresh the Good Food Market from Ireland, Coop Schweiz from Switzerland and Deli De Luca from Norway who re-invented their formats to bring freshly prepared food to the fore whilst and adapted their offering to target new missions and shopper types. "Key to their success has been a focus on quality and freshness, creating in-store theatre and using deep understanding of customer needs to drive the offer. Their message to other retailers is to be prepared to make bold decisions and leave behind preconceptions about what has worked in the past to take full advantage of the huge opportunities offered by food-to-go," IGD explained. Fresh the Good Food Market's redevelopment of their food-to-go offer also enabled them create a series of hot food ‘stations’ serving freshly made food. IGD explains that this kept customers "coming back day after day." IGD ShopperVista research shows consumers want more hot food-to-go options. "Whilst this may not be achievable for all small stores, Kepak showed how it has been developing new solutions for retailers that minimises the need for foodservice expertise, but delivers a quality hot food product. Its new Goode & Tucker concept includes products for all day parts and is designed specifically for convenience stores and forecourts wanting to tap into the increased demand for hot grab-and-go options." 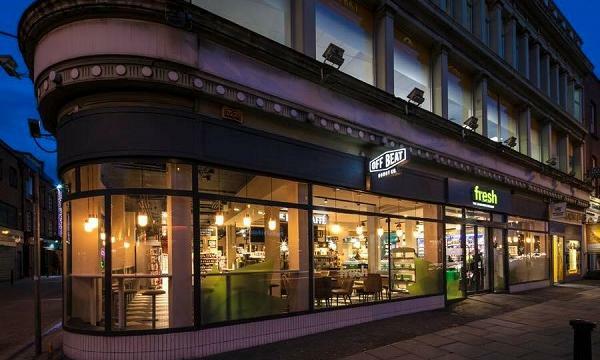 They also mentioned that Co-op identified hot food as a category for future growth, with its new On the Go store featuring porridge and soup stations, as well as a new open plan bakery fixture. "We expect to see initiatives such as these gathering pace and becoming more transformational to stores over the coming year as retailers and food-to-go operators seek to take a share of the untapped hot food-to-go opportunity," IGD forecasts. IGD observed that the growing need to satisfy consumers’ emotional, as well as functional, needs in their food-to-go offer was a recurring theme. They surmise that counters can play an important role in creating a better in-store environment to keep them longer and encourage repeat visits. "A key reason why Sainsbury’s has partnered with Sushi Gourmet to launch fresh sushi counters in over 60 stores is to create a multi-sensory experience. Healthy food-to-go specialists, Pure, has opened up its kitchens to achieve a similar effect. Use of colour is another way – Coop Schweiz’s Coop to go stores, serve smoothies on an ice counter to let the product colour and freshness shine through. Fresh the Good Food Market also uses this extensively in its salad bars, designed to be a feast for the eyes as well as the stomach," IGD explained. IGD research notes that 31% of consumers would eat out more often if "more healthier options were available", which they say represents a huge opportunity for those offering food-to-go. However, they stressed that 'healthy’ can mean different things to different people on different occasions. "One way to ensure you are catering for as broad a variety of healthy eating needs as possible is to allow consumers to personalise their food-to-go," they said. And lastly, they noticed an uptick in retailers and food-to-go operators segmenting their stores based on consumer needs in different locations, and adapting the in-store food-to-go offer. "In transport hubs, for example, where the consumer base is transient and many are commuters, breakfast and evening snack missions are important to get right, however in city centres catering for workers’ lunch times is key. 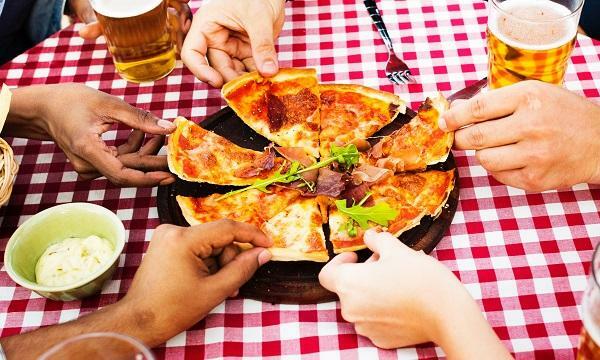 A one-size fits all strategy is no longer the way forward – delivering the right product and service at peak times requires a close understanding of customer needs and a segmented approach to the food-to-go offer."